Some people who are new to property often wander into estate agent’s offices in the same way they might nip into a newsagent; and then find their chances of getting taken seriously suddenly take a big backward step. 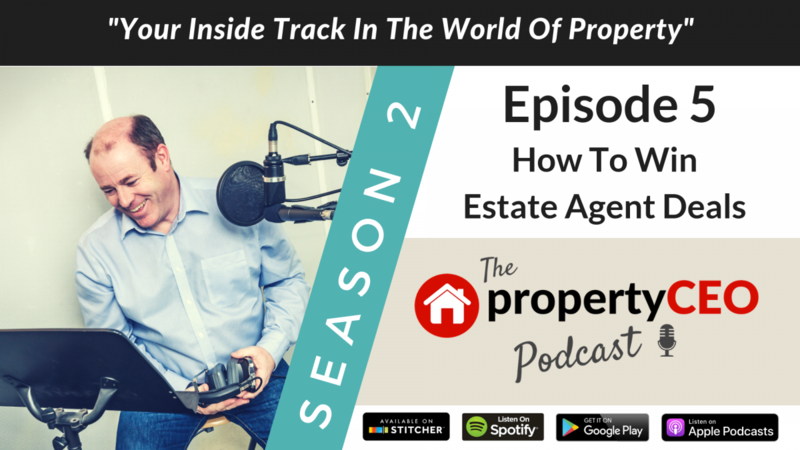 First impressions count and in this episode Ian Child from propertyCEO talks us through the things we can all do that will impress agents and hopefully get us to a place where we’re not only getting treated as a serious player; we’re also seeing some serious deals. Better still, this is something you can do regardless of whether or not you have any previous property experience. We also get to find out why you never see Ritchie Clapson and Jonny Wilkinson in the same room, plus Ian trades in his co-presenter for a small fridge.